February 2012 ~ I Can Do That! Welcome to my 4th annual Film Awards Special. I haven't seen any of the Oscar nominated movies and don't intend to except for Hugo and The Artist when they come out on Blu Ray. Most of the nominated movies do not appeal to me and will watch the 2 films because I really like Chloe Moretz and Jean Dujardin. I've seen both of Dujardin's OSS 117 James Bond parody films and I liked them; they're silly but enjoyable. Two movies I've chosen as my best ones came out in 2009; they are movies I HAVE SEEN recently and instantly moved up to my top favorites. 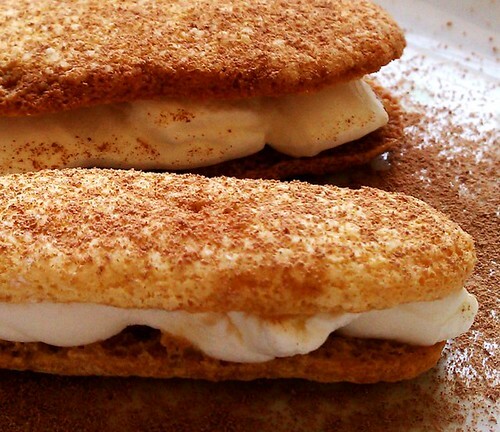 There were only a few pieces of the Philippine broas when I made the Tiramisu Sandwiches a few days ago. I wanted to make a regular tiramisu but got frustrated when the store didn't have broas either. The Italian ladyfingers in my experience seem to melt and disappear in the dessert even when they are not fully immersed in coffee. The Philippine broas however always come out perfect IMHO. I had to bake broas and followed the recipe from RECIPES OF THE PHILIPPINES edited by Enriqueta David Perez. I bake our sandwich loaf bread regularly every week but lately I've been on a roll, bread roll, that is. The last two weeks I made 2 kinds of Filipino pandesal rolls and today I baked Vienna Bread rolls topped with Dutch crunch. Vienna bread is one of my favorite breads from Peter Reinhart's cookbook, The Bread Baker's Apprentice. 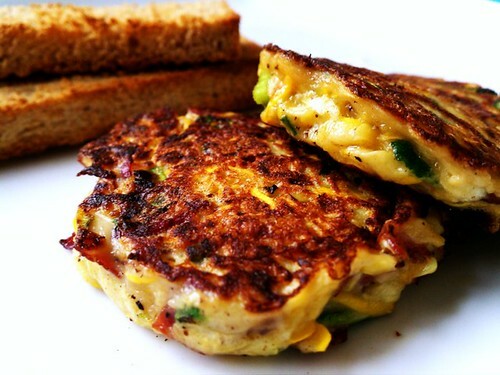 The bread has thin crispy crust which I really love and has moist soft sweetish crumb. Because the dough uses a large amount of preferment the bread always comes out very flavorful. 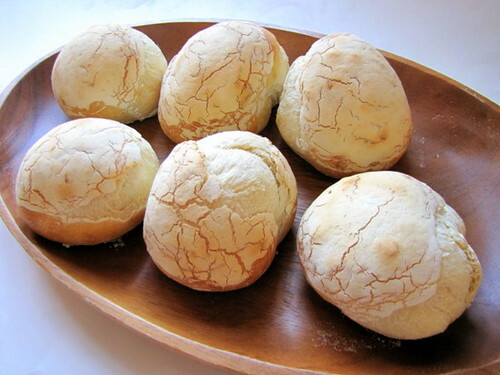 I've had these bite size sweet rich soft yellowish pandesal back in the Philippines. A few Filipino bloggers claim these are the Baliwag-style rolls. The recipe they follow is the same as the pan de leche, with the addition of milk of course. The downloadable file of all the delicious recipes, useful info, and tips that Audax and Lis tirelessly prepared for us is here. Cleaning up the pantry yielded several 100-gram bags of ready-to-eat shelled roasted Chinese chestnuts and a really large one I got from Costco. I feel like a squirrel for hoarding so much chestnuts. I can't help it; they are my most favorite thing in the world either for snacking or adding to sweet and savory dishes. Like stewed chicken, Chinese style...so delicious with fried rice.